Ready, set, SENSO! 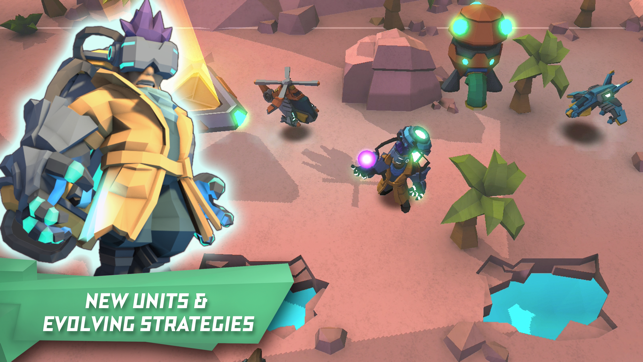 Assemble a mash-up squad of armored tanks, cats and dinosaurs, tentacled aliens, giant mechs, creepy zombies, and more in SUPER SENSO, a blazing fast turn-based action-strategy game set to usher in a new era of mobile competition. 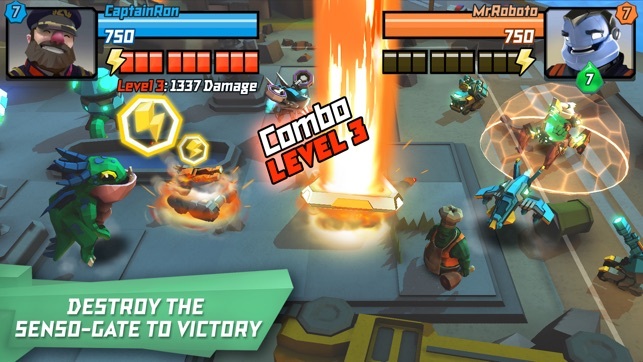 When armies collide, will you be able to outsmart and obliterate your opponents? 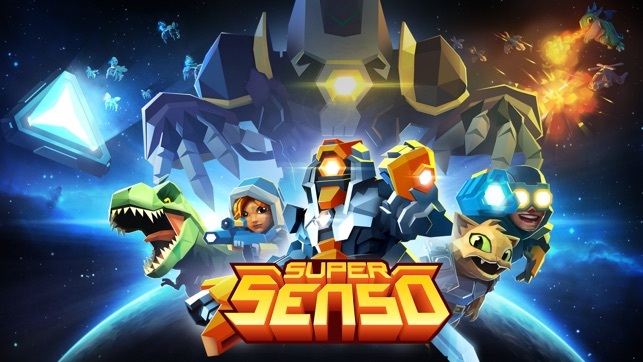 ● Collect and level-up SENSO heroes that fit your play style! Whether it’s soaring over opponents with Chuck or dominating on defense with Guardian, the choice is yours! 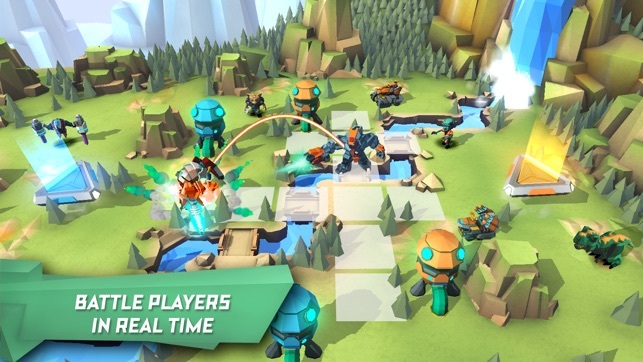 We just love strategy games—and Super Senso’s earned its place on our home screen. That’s because the tense, turn-based gameplay feels familiar, but its huge array of characters is as varied as it gets. Each stage plays drastically different—from a cramped oasis to a snowy expanse—and they all demand different tactics and units. 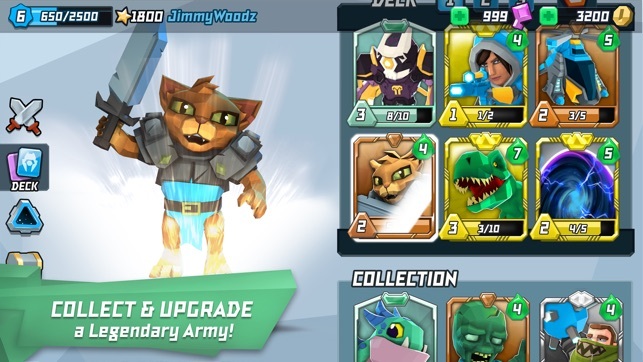 Mastering your loadouts is half the fun—unlocking dinosaurs is the other half! *Edit* “got the basic pay more money or the game won’t be fun for you response” “yeah if you could just make the match making not based on what it is currently. because if they don’t play much they can have the same star rating because it resets to 1600, doesn’t mean they don’t have cards all much higher in which case it has nothing to do with skill! !” I could give it less than 1 Star now I would. The game is fun up until you get to level 7 or 8 and your constantly matched up with level 10 players who either have spent a lot of time or real money on their cards. I didn’t even know that they could be leveled to 11 but there’s no competitive balance when you have to spend turns trying to take out weak units while they 1 shot your best stuff because the game became pay to win. Please fix the match making...I would rather have a longer time trying to find someone my own level then to constantly get pitted against players that I have no chance against because they are a much higher level than I am. Like I said it used to be much better before...unless it gets updated it’ll prolly be on the chopping block soon for me. Sorry to hear about your experience! Matches are made using Starpower, so as you continue to play (win or lose), you should see yourself matched against similarly-skilled/tiered opponents. If you want to increase your own level, you can save up Bytecoins and unit cards for upgrading. Best of luck out there. Just missing a few tweaks. Needs a play against ur friends option at least. A clan function of some sort. A 2v2 would be fantastic. But overall a really good game. The price of things is fair and it gives u a fair amount of gold and keys just for doing puzzles, if u don’t want to spend a dime. No Mobile game is perfect. 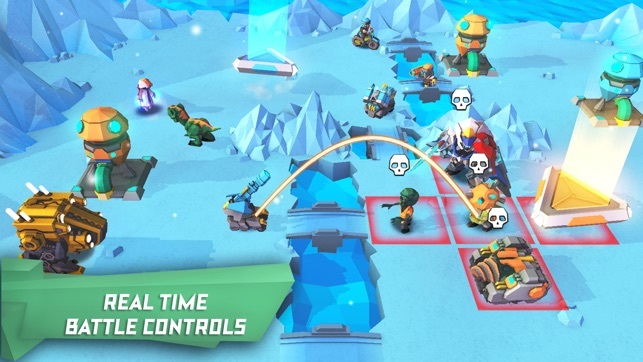 But I suggest giving this one a try if ur into strategy games if not I’d avoid it. © 2016 Turbo Studios Inc.